Besides the classical shutdown and reboot commands, on Ubuntu 13.04 Raring Ringtail is the gnome-session-quit command available. 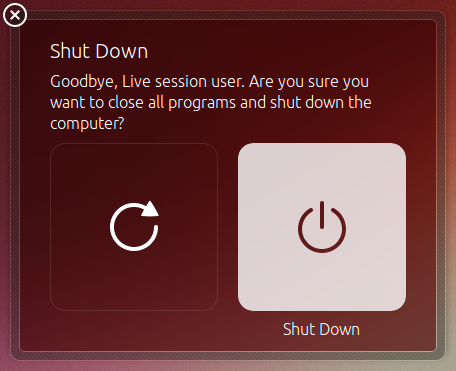 When you shutdown Ubuntu Raring with gnome-session-quit –power-off, you will get a nice shutdown dialog. To force shutdown or force reboot, use –force.